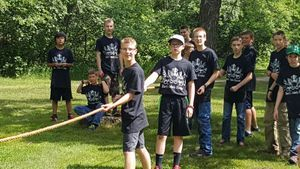 A broader activity-base is now called for so churches can influence a greater number and a more diverse group of boys and young men. Beyond teaching the boys in your class a merit, take the boys to a local sporting event to instill/nurture their love of sports! Below is a number of resources for you to use to spend time building relationships side-by-side.